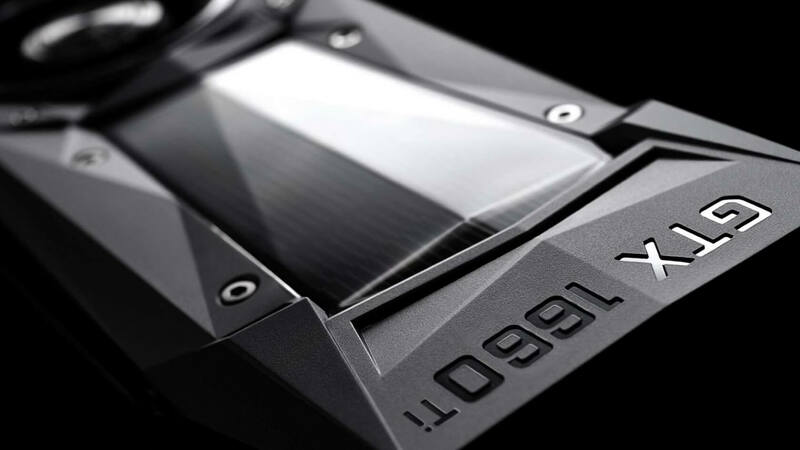 Highly anticipated: The first mid-range Turing offering from Nvidia may be approaching soon, with Russian retail websites listing MSI and Palit versions of the GTX 1660 Ti. In addition to the overseas retailers, AIDA64 released a new version of its benchmark software with support for "TU116" GPUs. If true, the specifications for the upcoming GTX 1660 Ti place it squarely between the GTX 1060 and RTX 2060. Last month, rumors surfaced of a 1660 Ti hitting store shelves on February 15th. Specifications for the non-OC version of the Palit Storm X seem to confirm that the card will feature 1,536 CUDA cores, 96 texture units, 6GB of GDDR6 VRAM, and a 192-bit memory bus. New information listed on the Palit card description shows a 1,500 MHz base clock and a 1,770 MHz turbo clock. If these specifications hold true, this would place the GTX 1660 Ti squarely between the GTX 1060 and RTX 2060. The GTX 1060 featured 1,280 CUDA cores, 80 TUs, and base and boost clocks of 1,506 mHz and 1,708 mHz, respectively. The RTX 2060 packs in 1,920 CUDA cores, 120 TUs, and base/boost clocks of 1,365/1,680. The 1660 Ti is built on the same 12 nanometer process node as the RTX GPUs. As expected, the 1660 Ti is lacking ray tracing units. While the 1660 Ti is listed with the same GDDR6 VRAM as the RTX 2060, it's only clocked at 12Gbps, down slightly from the 2060's 14Gbps memory clock. If you understandably question the reliability of these Russian retailers, the rumored existence of the 1660 Ti is further reinforced by the latest version of AIDA64 adding support for a "Nvidia TU116" GPU, as well as the ton of rumors/leaks surrounding this release in the past few weeks. Given how close we are to the supposed February 15th launch date with no official information from Nvidia, it wouldn't be surprising if we didn't actually see these cards on shelves this month. The GeForce 1660 Ti is expected to launch at $279, while the less-powerful GTX 1660 expected to follow in March with a price tag of $229. These cards will help fill out Nvidia's mid-range lineup, and seem priced to compete with AMD's RX 580 and RX 590.